(Natural News) The similarities between communist China and Silicon Valley are just too much to ignore. 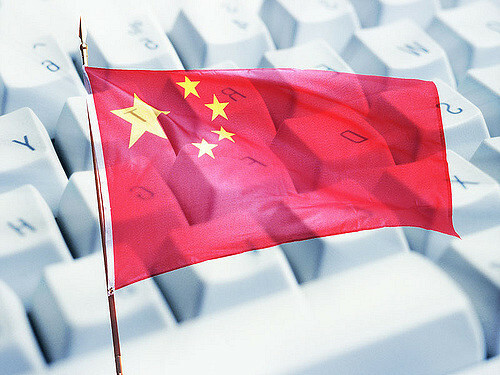 Now the Chinese government is cracking down on Christian and other religious content online, joining Facebook, Google and other American tech giants in an attack on free speech and religion. The war on Christianity is reaching its apex: Left-wing tech companies censoring and banning users for daring to share Bible verses on their platforms here in the United States, and in China, things are even worse. Bible burning and forcing Christians to denounce their faith are the new “normal” in Communist China, where the only permissible “god” is Big Government. The Chinese were reportedly granted the right to religious freedom by the Chinese constitution in 1982 — but in recent years, animosity from the government towards religion has been escalating. Under Chinese law, citizens can only practice their religion at government-approved congregations, though many turn to underground or home-bound practice spaces. Activists say government officials are going to extremes by burning Bibles and closing churches. The newly mounted attack on religious freedom coincides with a power grab from President Xi Jinping. A recent fusion of powers has turned Xi into the most powerful Chinese leader since Mao Zedong, the infamous communist Chairmen behind millions of deaths. A Christian Pastor in the Henan city of Nanyang, whose name was not identified out of fear of retaliation by the authorities, reportedly confirmed that crosses, bibles and furniture were burned during a raid on his church on Sept. 5. The government regulates everything, including what religious leaders are allowed to say and who can attend their services. Christians are not the only religious people subject to government scrutiny. Some one million Uighurs and other members of Muslim minority groups from China’s northwest provinces have been detained in “indoctrination camps.” Censorship and the promotion of communism is the name of the game in China. If the war on religion in China seems familiar, it’s probably because the same thing is happening on social media right now, in America. Facebook and YouTube have both come under fire for silencing Christians for sharing their beliefs. Banned videos, censored Bible verses and flat-out ousting of Christian users from public platforms is frighteningly common place in the U.S. today. In April 2018, Facebook came under fire for rejecting an ad from a Christian university, which featured an image of the crucifixion of Jesus. Facebook monitors said the image was “shocking, sensational, and excessively violent.” In another scandal, Christian Facebook user Elizabeth Johnston was banned twice for sharing “controversial” bits of scripture. Religious freedom is under attack, as are many other American liberties. Stay up-to-date on the latest news regarding the freedom to think at ThoughtCrimes.news.